The HTC Desire will possibly be next in line to get the bump to Android 2.2 Froyo, more precisely June 23rd is the rumored date for the upgrade. 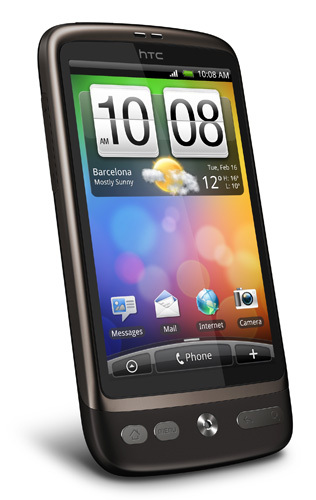 After a weekend of Froyo updates being pushed out by Google for the Nexus One, it’s highly possibly that the Desire will be the 2nd already released Android device to get a taste of Froyo. The Desire is very close in relation to the Nexus One, in regards to specs and hardware, so it kinda makes sense that it could be next in line to get a Froyo upgrade. Who knows what to believe when it comes to Android update rumors, but with June going to be a very eventful month, it makes sense that Google wants to keep everything fresh. June is usually iPhone time, so they might want to take some of the spotlight off Apple. We just have to wait and see. So? What happened? Is it out or not? I can’t find anything on HTC web site and I would like to buy one soon.. :-( Shall I wait?